From the worst to the discernibly average! 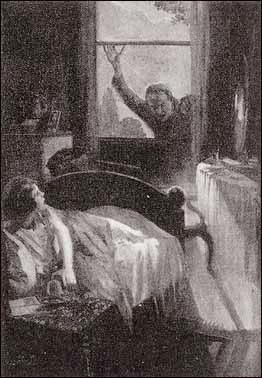 The Sherlock Holmes canon provides a great many unique mysteries, but the following aren't the best examples. This is also the one with the most tags: Science Fiction & Horror for 'Creeping Man,' War for 'His Last Bow,' and we've finally got a Novel! Watson relates a case that could not be told before. 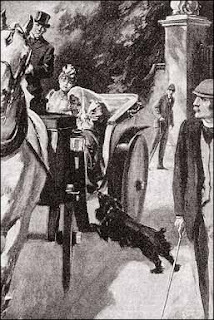 The Heiress Violet De Merville has fallen in love with wife murderer Baron Gruner, and Sherlock must prevent their marriage. This case has a simple solution, involving no deduction or real skill. The Heiress comes off as foolish making the stakes incredibly low. The Sherlock Holmes story that verges on Science Fiction: The Island of Doctor Moreau mixed with The Strange Case of Doctor Jeykll and Mr. Hyde. The horror elements make the case fascinating, but the ending explanation is so far from the grounded realism of the rest that it sounds quite ridiculous. Holmes loves a false identity case without even breaking a sweat. He then chooses not to tell his client about his discovery... Another case that doesn't excite like many of the others. Both its faults and merits are few. 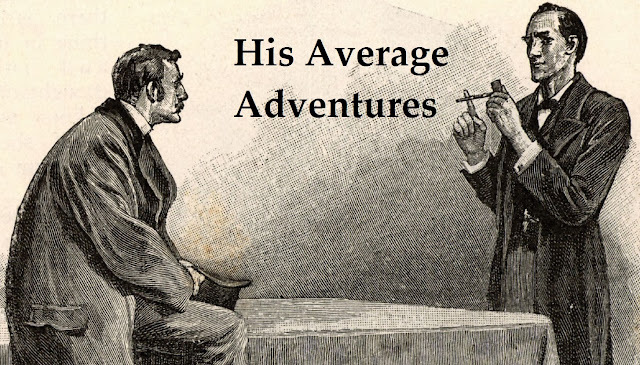 This is considered by many to one of the favorite Sherlock Holmes stories, but it is merely average. It has one of the better endings, but not the best lead up to it. Nobleman has to find his runaway bride. It's hard to find cases that don't challenge Holmes exciting. Even if the reader has difficulty deciphering, it is good to challenge the hero. Given that this story has given rise to one of the most infamous villains of all time, I expected more. Moriarty is better served by the many adaptations of this story. Doyle tries to sneak him into later stories with varying degrees of success, but he reads more as plot device than person in his signature tale. Our heroes spends most of their time running away. 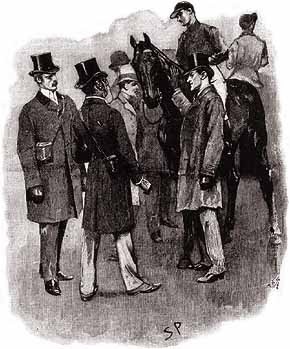 Watson tries his hand at the art of deduction at the end, but comes up lacking. The story of how Sherlock became involved in detection. There is a significant lack of detection by Sherlock. The code cracking is better in the Dancing Men and it has another muddled ending. 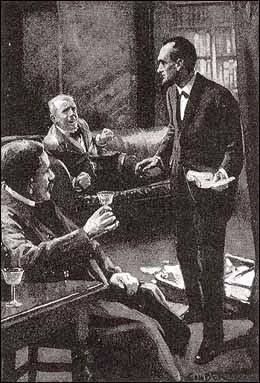 The first appearance of Mycroft Holmes. Sherlock must help a man who's been kidnapped and forced to translate for a Greek hostage. The sections with Mycroft are the best part. The rest is obscure politics and the resolution isn't that great. 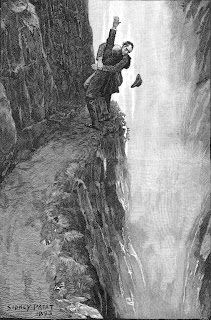 The first Holmes story completely in third person and the last story of Holmes' life. The switch is odd and it doesn't really feel like a Holmes story until Watson arrives at the end. It's pretty entertaining, though its 'twist' is fairly obvious. The real treat is seeing Holmes at work during the first World War! 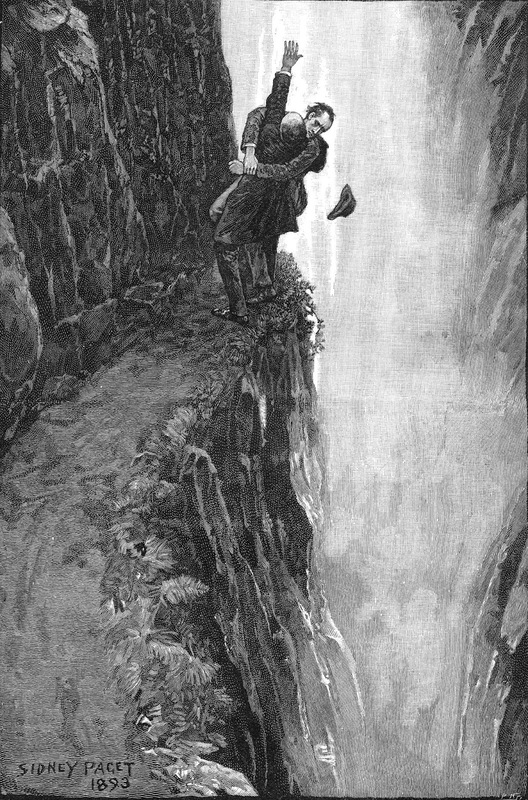 A melodramatic opening leads into a story that is incredibly similar to “the Red-Headed League.” It differentiates itself by showing more of Sherlock's effect on the world and being one of the rare instances of Sherlock having an emotional outburst (and a good one!). The last Holmes novel is also the weakest. This story would have been better without trying to connect it to Moriarty. An entire chapter is spent trying to build up the villain, even leading to some continuity issues. The story itself involves the murder of a man in the country. It starts with some code breaking and builds up to Holmes solving the case based on an insignificant detail. It is actually sort of an amalgamation of several other stories. It even lends the style of its second part to the second part of A Study in Scarlet. Fortunately, there is more of a transition, but the tale is also more vague. It ends up becoming a slog until the very last chapter. All this leads to a very uneven novel with several high points and many low points. 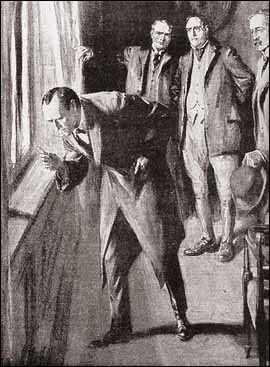 The last Holmes story to be written by Sir Arthur Conan Doyle, but doesn't provide any finality. From burnt corpses to strange insanity, it a Gothic tales of a man trying to preserve his fortune. It has plenty of twists; though, it might be somewhat convoluted. Holmes' second and more unconventional use of dogs was great. Next time: Some solid Sherlock Holmes stories!